Winchelsea is a secluded and hard to get to English channel resort, nestled between its more famous and trendy neighbours of Hastings and Dungeness, so its still delightfully unspoiled. I only came across it after visiting the more cultured hilltop town of Rye, with its illustrious dead writers, the famous American Henry James and my personal favorite, E.F. Benson, who wrote the popular Mapp and Lucia series of dry humored novels based upon the town, which were later adapted as two TV series in the mid 1980’s and are still available and very viewable on DVD! Fans of Mapp and Lucia will remember the dramatic flood scene where the two waring ladies are washed out to sea and lost on an upturned kitchen table, interestingly to me, their route would have passed by this very spot! Back at the sea front, I was surprised to see new windmills on the horizon, which must be sighted in the old silted up Cinque port of Rye and I must admit, caused slight annoyance at the time, however during processing they inspired me to add a few more from another location and create a whole new image! Firstly, the base image is shown totally raw, you can even see my camera sensor needs cleaning! A guy on the beach had the cheek to show his face so he was cloned out immediately! I then brightened the image in photoshop HDR, and then ran it through the Noise filter to get rid of any excess colour noise and reduce some detail for the slightly more painterly effect we love. I then ran this layer through Nik colour Pro, Pastel number 1 filter @ around 50% saturation and 19% Diffusion. This gave it a nice colour lift and cooled the pebble colours. At this point I cropped the image square, as the portrait format was showing far too much negative sky. Using the Russell Brown Flypaper Photoshop Texture Panel, I tried a few textures, one of my favourites for beach scenes is Creme Anglaise, and it worked well. The next was the old green Aquarius, and as usual I neutralised the green tone until I was happy. HDR Base put through Nik colour Pastel filter 1 as described @ around 50% saturation and 19% Diffusion. Earlier I said the windmills gave me an idea, the result is the greener bottom image, I came across this idea just through playing with the textures, I had made the sky green and was trying to balance the ground when a texture I’d used became opaque, I saw it and thought Wow, that’s another picture! However the windmills were still too faint, so I pulled out a shot of closer windmills I’d shot from the car in France, pasted them over the English ones, and Bob’s your uncle, it blended almost perfectly and even the mills seem to be of the same design! To Achieve the more abstract green image I used the finished first image as a base. Firstly I duplicated the image and changed the sky to a pale lime colour, I gently removed the beach with a soft brush, I then duplicated this sky. I liked the surreal muddy green sky but then tried to change the base colour to blend better, so I pulled out Aquaflore and this time removed the sky with a soft brush, I wanted it to be really opaque so I duplicated this layer also, leaving me with this vast spring green field with a wash of suggested mist or water at the base and finally beefing up the sky area only with two layers of Rose Blush. 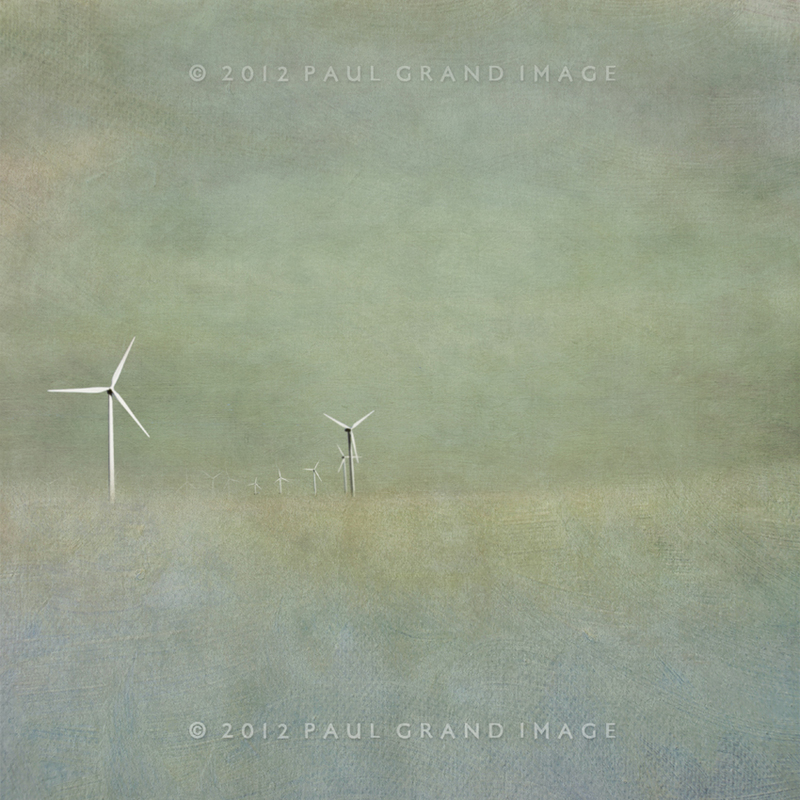 I then pulled out the French windmills, removed their blue sky with the magic wand tool and pasted in. The pasted images were slightly softened, and I added a second layer I had used a slight water colour filter on for a more painterly effect. 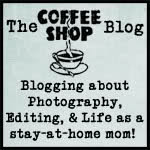 This entry was posted on Friday, June 22nd, 2012 at 9:32 am. 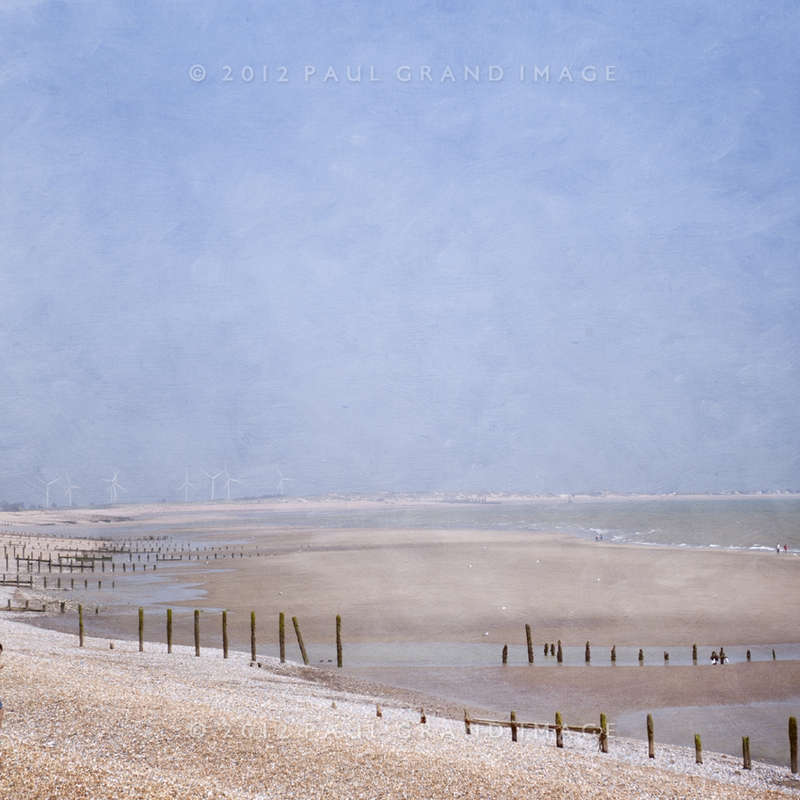 It is filed under Blog and tagged with beach, England, fantasy, illustration, painterly, Paul Grand, soft, south coast, UK, vacation, wind farm, wind power, windmills. You can follow any responses to this entry through the RSS 2.0 feed.